I'm an indoor person since birth - yes I love to travel but sometimes I do have this moments where I prefer to stay home, sleep, and watch TV. I am going out tonight because I don't feel like it. Another night at thhe karaoke? With my boss? With my office colleagues? 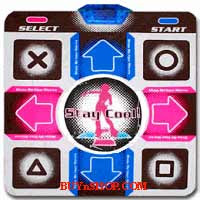 I have not used my ddr pad in years. It became a part of my weight loss routine. Lost 6 pounds in 3 weeks. 14 more to go.